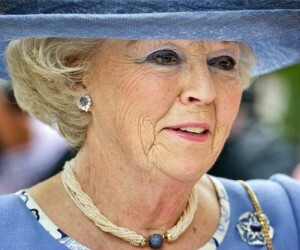 WILLEMSTAD - Princess Beatrix opens on Saturday, May 2nd the exhibition called ‘Guerra na Korsou’ in the Curaçao Museum. The exhibition on the role of the island during World War II is made because of the seventieth anniversary of the end of the Second World War. During the defense of the island in World War II about one hundred Antilleans died. The island was defended primarily because of the oil, which was produced by the Curaçao refinery.